Administrative Professionals Week is next week, April 24 to April 30, 2016, and Administrative Professionals Day is Wednesday, April 27. Will you be celebrating your team with a fresh thank you gift this year? 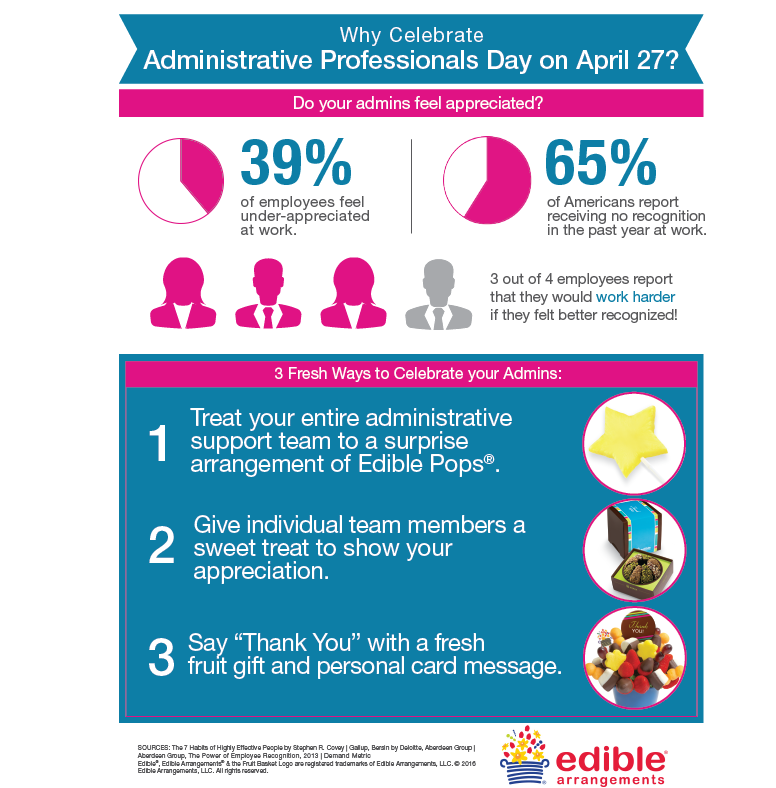 If your company celebrates this holiday in honor of administrative professionals, you probably already know that showing your appreciation for your support team can have a positive impact — both on their individual job satisfaction and performance, and on your business! 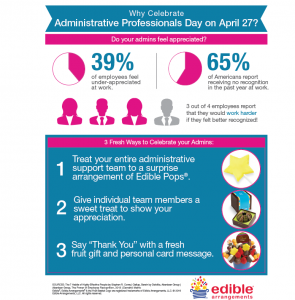 But if you don’t celebrate (yet), check out this infographic for some surprising stats about appreciation that might make you think differently about sending a business gift for Administrative Professionals Day. Looking for some ideas for Administrative Professionals Day gifts? Check out these professional gifts to show your gratitude. We’ll even deliver straight to the office! Previous articleFeel The Love – By State!